If you need a new affordable, durable roof on your house, shingle roofing is certainly the best option to consider. Its affordability, versatility, ease of installation and repairs make shingle roofing unavoidable option for residential housing .The cost of replacing your roof depends not only on the roofing material, but also your choice building contractor. Shingle is a type of roofing slate. There are many types of shingles that is wood shingles, fiber, metal, plastic, Asphalate and stone shingles. Roofing shingles add decorative element in buildings. They are an important aspect of buildings aesthetics in patterns, textures and colors. 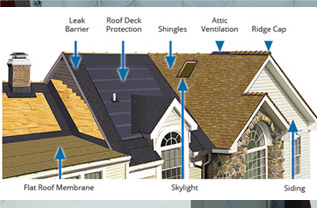 Shingle roofs are easy to cut, install and fit. If you’re looking for a shingle roofing experts with the vast experience in the field, contact Tetra constructions for all your Roofing Solutions.